Matthew considers Peter Hayes a mentor and has been an Instructor at many of his Conclaves in Tasmania . As a fellow FFF master they often travel to teach and examine other Fly casting Instructors. If you want a great fishing experience in Tasmania then Peter Hayes is one of the best. Matthew is a member of the Barrio Fly Lines Pro team, after meeting Mike Barrio in Scotland earlier this year. Having cast a number of Barrio Fly Lines Matthew is currently spending time casting the Barrio SLX series, which he first cast on the River Don Scotland. You can check out all the Barrio fly lines on the Barrio website. 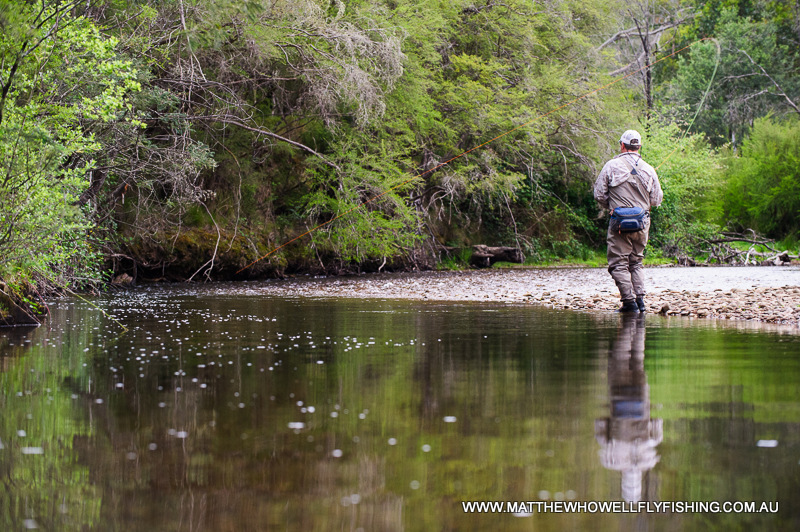 The FFF is a governing body for the sport of Fly Fishing, although it is run from the USA, Australia now has 5 FFF Accredited Master Fly Casting Instructors , of which Matthew is one. In his role as a FFF master he is responsible for instructing and examining other candidates in Australia who wish to sit the exam for Master and CCI. Mako Eyewear is great for spotting fish when you are on the water. Matthew looks forward to trialling some prototypes for the Mako team when hes on the water this summer. Nick Taransky is a maker of fine handcrafted Split Bamboo Fly Rods and I have had the pleasure of casting his rods with him. Bintoro Tedjosiswoyo is Australia's only FFF Certified Two Handed Fly Casting Instructor. If your planning a trip chasing Salmon or Steelhead or you need a lesson in the art of Casting a Two Handed rod, then just follow this link and get in touch with Bintoro. ﻿﻿﻿Gilbert Romane is the man behind GIROPHOTO ,he is a Sydney based photographer that captures images of people, places, events and emotions experienced whilst outdoors. I was lucky enough to have Gilbert photograph me over a couple of evenings on my local waters. Anybody looking for an outdoor photographer that doesn't mind sleeping in cars, loves the great outdoors, is fit, and has a passion for Photography should contact Gilbert. Some examples of his work are on my Photo Video page with the caption girophoto.